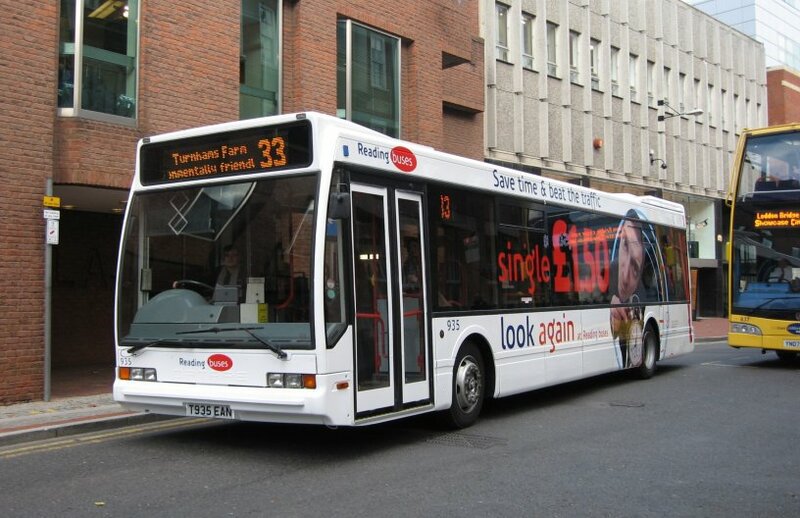 Reading Transport Fleet List: 1031-6 entered service on 28th. 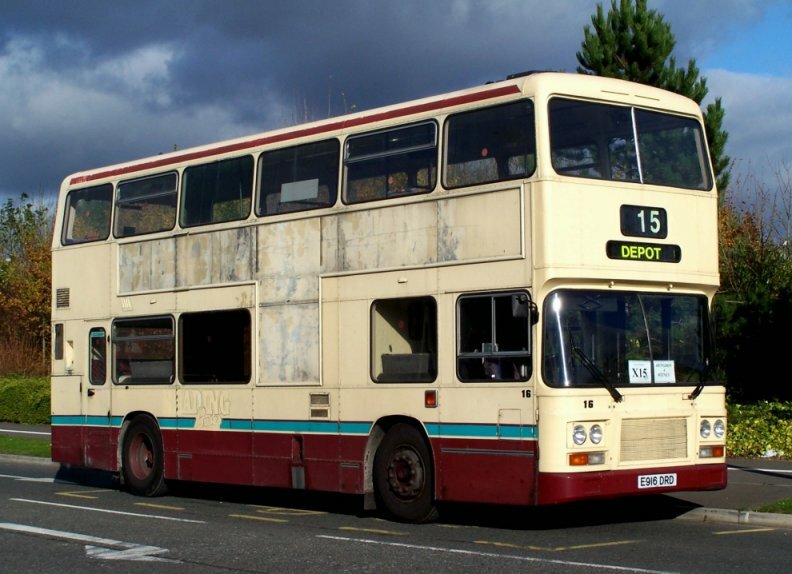 731-6 appear to have been withdrawn by this date, and 737 on this date. Reading Transport Fleet List: 630 returned from loan to Newbury on 14th. The new ethanol powered Scania double deckers are Scania CN270UD and are likely to become fleet numbers 1101-14. Meanwhile registrations YN57 FXA-F/H/J-M/O/P/R-Y have been reserved for 841-61, along with their branding. It is still to be confirmed whether their delayed delivery will affect this. Thanks to Brian Coney for this. 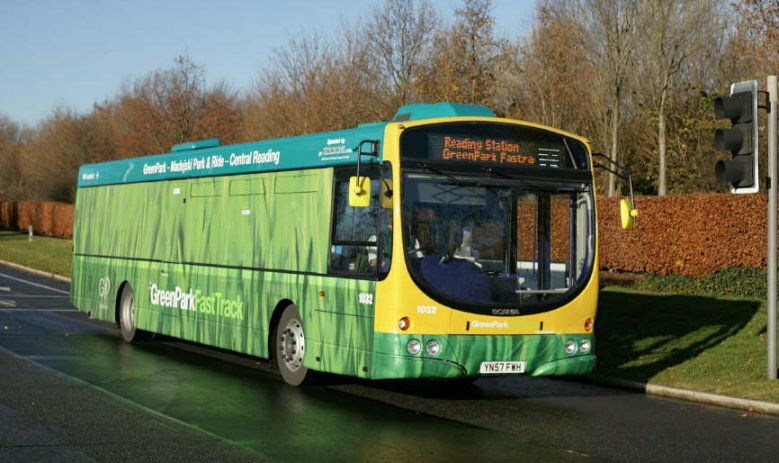 Reading Transport Optare Excels: 916 remained on loan to Newbury until 7th November when it required mechanical attention. The loan was prompted by an accident involving 606. Thanks to Brian Coney for this. Reading Transport Optare Spectras: 708 entered service in Newbury on 30th October. Thanks to Brian Coney for this. Reading Transport MCW Metrobuses: 457 transferred from Newbury to Reading on 29th October. Thanks to Brian Coney for this. Thames Travel Fleet List: New is Alexander Dennis Enviro 200 Dart OU57 FGZ. Stagecoach in Oxfordshire and Warwickshire Fleet List: 20225 has lost its branding for route 86 in favour of fleet livery. 17054/56/76 entered service in Stratford on 26th, whilst 16072/76/78/79 were transferred from Stratford back to Leamington. Leamington 14028 has been withdrawn. 20219 has joined 20208 on loan from Leamington to Stratford. Thanks to Keith Wood for this. 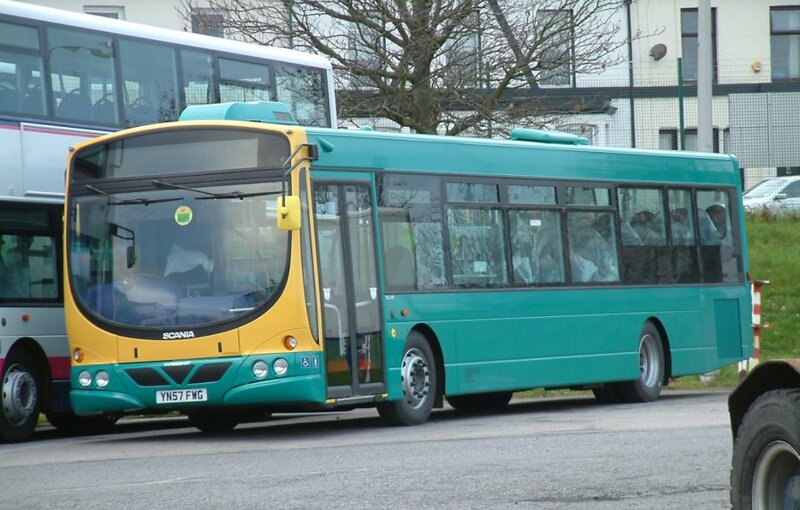 Courtney Coaches Fleet List: Another new Optare Solo is YJ57 XWN. Thanks to Stephen Le-Bras for this. Reading Transport Fleet List: Three of the new Scanias had arrived in Reading by 16th, with one confirmed on 18th as 1034. Entry into service is scheduled for 26th. Courtney Coaches Fleet List: New are Optare Solos YJ57 XWM/O in Boroughbus livery which are operating Windsor route 6. Thanks to Stephan Le-Bras for this. Stagecoach in Oxfordshire and Warwickshire Fleet List: 47001/2/4/5/7/8 have also been withdrawn, with just 40010 remaining from the original batch branded for route 66. Thanks to Keith Wood for this. Reading Transport Fleet List: 934 has been repainted into a ColourBus livery advertising the Reading £1.50 single fare, as per 935. Stagecoach in Oxfordshire and Warwickshire Fleet List: 20208, on loan from Nuneaton to Leamington for training duties, has gone on loan to Stratford possibly to cover for 32629. 31321 has a new MegaRear for Rugby Town Centre. Thanks to Keith Wood for this. Eight of the former route 66 Solos (including 47003/6/9) have been transferred to Stagecoach North West for use in Preston. Reading Transport Fleet List: 474 has been repainted into generic silver Quality Travel livery. Thanks to James Cusworth for this. Stagecoach in Oxfordshire and Warwickshire Fleet List: 20219 has returned to service. Thanks to Keith Wood for this. 47508-18 were launched into service today. 22942 and 22945 have received revised branding for route 1 following repaint and refurbishment. Courtney Coaches Fleet List: New is Optare Solo SE RX57 MDZ. Thanks to Derek Bradfield for this. Weavaway Travel Fleet List: NBZ/NDZ 70 have been reregistered CW51/52 TOP, YN06 CYX has been reregistered CW53 TOP, WA06 GSU/V have been reregistered CW54/5 TOP and WA56 ENV has been reregistered CW56 TOP, whilst YN55 PYX/Y have been reregistered NBZ/NDZ 70. Thanks to Derek Bradfield for this. 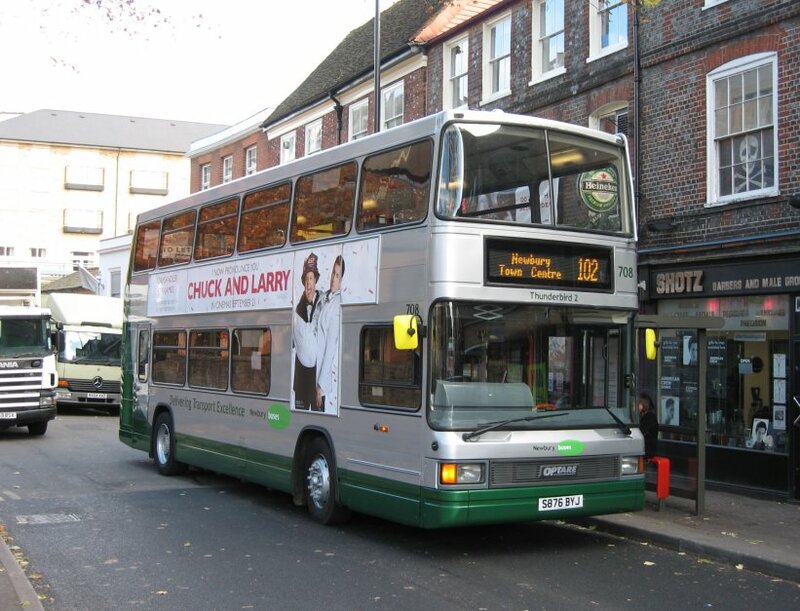 Reading Transport Fleet List: 708 has been repainted into Newbury Transport Excellence livery, and re-entered service at Newbury by 2nd November named "Thunderbird 2". 457 has been transferred to Reading in return, but does not appear to have entered service yet. 916 went on loan to Newbury by 2nd November covering for 602 and the pending acquisition of a vehicle to become 610. Newbury van 104 has been named "Stingray". Recovery vehicle 304 was withdrawn sometime during October and sold to Wessex Recovery. Reading Transport ColourBuses: 935 has been repainted into a ColourBus livery advertising the Reading £1.50 single fare, appearing in service by 6th. Reading Transport Leyland Olympians: Former 16 has gone on loan from Ensignbus (dealer) to RH Transport. Thanks to Richard Sharman for this. 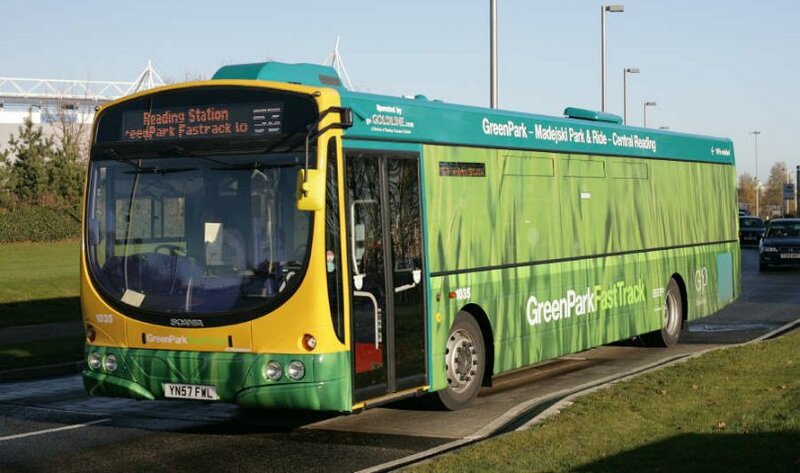 Reading Transport Optare Excels: Following the sale of former 951-60 from Eastbourne Buses to South Gloucestershire Bus and Coach earlier in this year, 951/52/54/56-60 have now been transferred to CentralConnect (based in the West Midlands). Both companies are owned by Rotala. News Page: Green Park Solar Preview with photo of 1031. Thanks to Alistair Liddle for this. Reading Transport Fleet List: 739 received a MegaRear for Chatham Place (cross dressing purple shoes) last month, similar to that on 471 but with purple instead of pink shoes. Countywide Travel Fleet List: The coaching arm of the company was subcontracted to Moretons from sometime around June this year, pending its sale. NIB 7625, YJ51 EKK and FY55 BXN were operated on hire to Moretons, whilst R114/163/164 GNW were purchased and soon sold with R163/4 GNW going directly in exchange for Berkhof Axial YJ07 JMO without being operated. Thanks to Derek Bradfield for this. Weavaway Travel Fleet List: Short term loan Tridents LK51 YCD/M have been returned off loan. The recently acquired Countywide operations have been merged with the Top Travel branded vehicles to create Countywide Top Travel. Thanks to Derek Bradfield for this.